Take a look at who is writing about The Irish Gift House in the news. The Irish Gift House has received some press coverage. Scroll down for the links about The Irish Gift House in the news! Whomyouknow.com by Peachy Deegan, featured 8/15/17:http://www.whomyouknow.com/2017/08/are-your-windows-irish-enough-not-yet.html#.WZ3pPD6GOM8. Whomyouknow.com by Peachy Deegan, featured 3/14/17: http://www.whomyouknow.com/2017/03/learning-gaelic-with-peachy-deegan.html#.WMhShk0zWM8. Whomyouknow.com by Peachy Deegan, featured 3/14/17: http://www.whomyouknow.com/2017/03/get-in-st-patricks-day-spirit-with.html#.WMg0z00zWM8. Whomyouknow.com by Peachy Deegan, featured 3/13/17: http://www.whomyouknow.com/2017/03/keeping-ireland-on-top-whom-you-know_13.html#.WMcyik0zWM9. Whomyouknow.com by Peachy Deegan, featured 3/5/17: http://www.whomyouknow.com/2017/03/st-patricks-day-gorgeous-gifts-for-mr.html#.WLyPLE0zWM8. Whomyouknow.com by Peachy Deegan, featured 12/19/16:http://www.whomyouknow.com/2016/12/peachy-on-links-ladies-ireland-celtic.html. 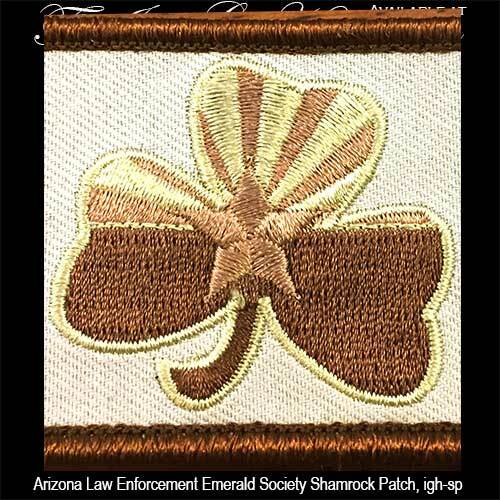 Veterans Day Weekend Special - Free Law Enforcement Emerald Society Shamrock Patch with $99.00 or more purchase.